Easy access and rich pickings in terms of potential visits and things to do mean that you can relax about planning, be spontaneous and truly enjoy your time. Siena House offers just that. 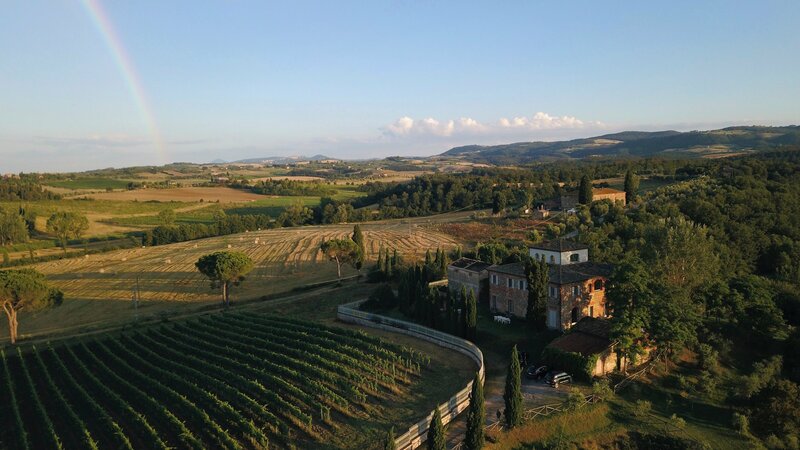 Located roughly between Chianti, Cortona, the Crete Senesi & the Val d’Orcia we are situated in the edge of the Val di Chiana, just in front of the Orcia Chiana Ridge, a zone of hills & hilltop villages within the commune of Trequanda (Siena) bordering both Orcia and Chiana valleys. We are surrounded by great visits including a concentration of authentic oil producing hilltop villages beginning moments away. Malvin spent 10 years scouring Tuscany and Umbria before buying here. An Italian friend whom he met in London gave him this tip ‘Close to Sinalunga, the countryside is beautiful, the tourists haven’t made it there just yet – and the North South motorway for Florence and Rome is only a few minutes away – great for easy airport journeys and weekend trips’. Thus Malvin based himself here whilst searching – but the search also concluded here at the same point. In this area you can tour several whole days and not see all of our favourite sights. 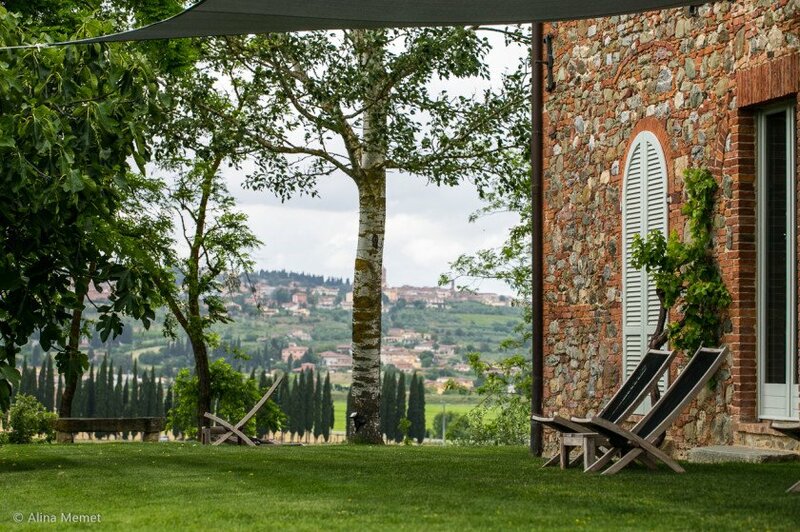 At this point we are also at a hub point for 5 wine areas – Chianti Classico, Nobile di Montepulciano, Orcia, Syrah of Cortona – and the world famous Brunello di Montalcino – which is why we welcome so many wine lovers to the house. At the property we have a superb venue to spend time at. Here the huge spaces, art, comfort, views and light can give a great experience in Tuscany even if the weather’s not perfect. Our zone photographed from Sinalunga – the house is masked by medieval hamlet ‘L’Amorosa’. In this area, it’s still ‘real’ Tuscany. 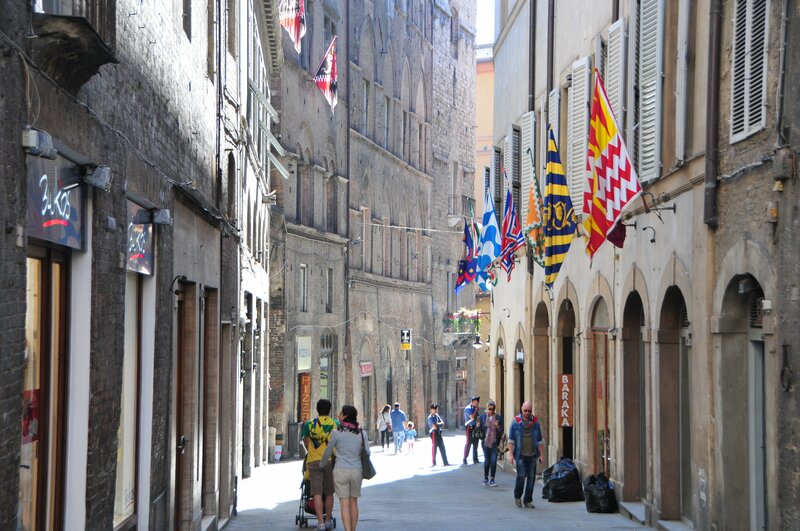 We are close to famous Tuscan sights and yet in a cognoscenti local area where you can still eat out at good prices in restaurants full of Italian diners – and very close by, too. We have 5 super places within 2 km of the house. The province of Siena is a good choice as the countryside here is so beautiful and indeed some of the most photographed and filmed parts of Tuscany are within the Province of Siena. Gladiator, Quantum of Solace, The English Patient, Master of None, Made in Chelsea, and The Medicis have all included footage of the Province of Siena towns and countryside. Sinalunga seen from the Siena House garden. Florence is one hour North (without traffic delays) and Rome is 2 hours South (ditto) It’s a 10 minute drive to the motorway. This location has been an important stop for North-South travelers for centuries, and has a very interesting history but international tourism has not really arrived in number yet. 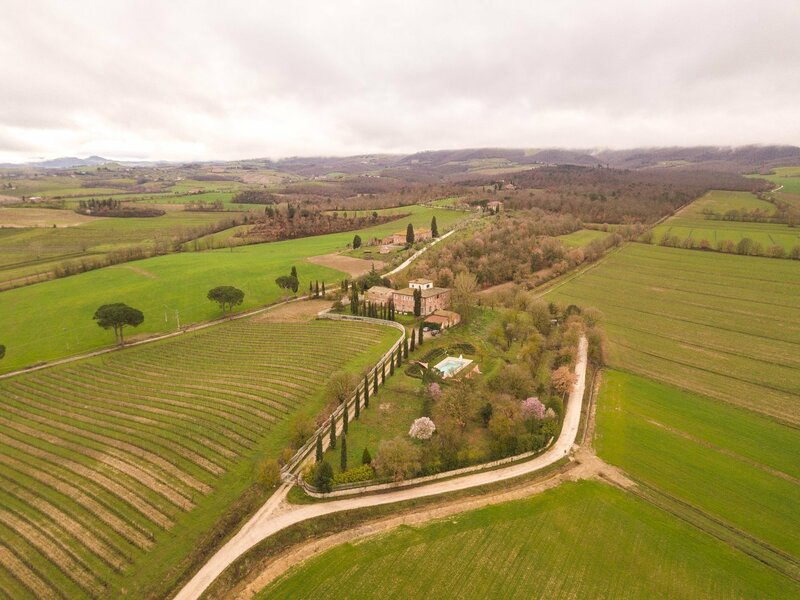 Here at this location we’re also not too far from the province of Arezzo, including some gorgeous Chianti towns well worth visiting. 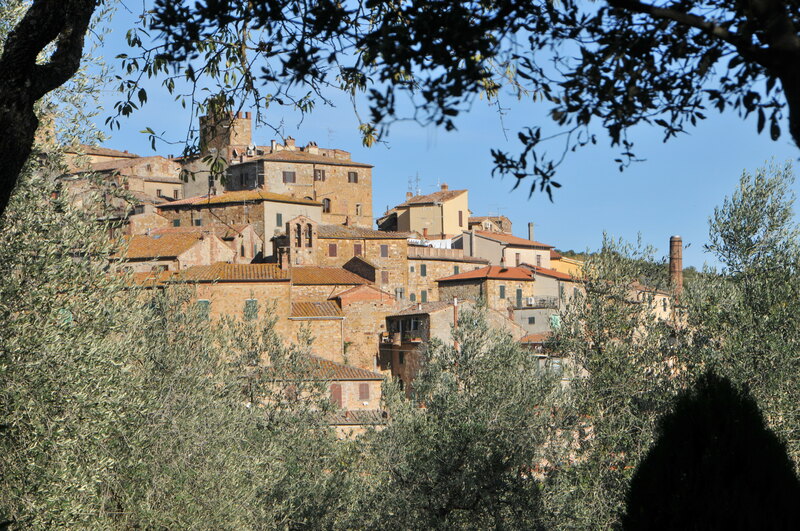 Petroio, olive oil village in the Orcia Chiana Ridge. It’s easy to spend 5-7 days in this area exploring and our average stay with returning guests is 5/+ nights. From here you can get deep into UMBRIA with a 45 /+ minute drive. PERUGIA (airport and city) the capital of Umbria is about an hour away. You can get deep into CHIANTI in an hour (it begins at 20 mins away) or to SAN GIMIGNANO or ASSISI travelling by car for about 80 minutes. You could get to VOLTERRA in an hour and a half. PISA & LUCCA are just over 2 hours. ORVIETO one hour. A day trip to FLORENCE (just over an hour away) is certainly not out of the question, either. However spending time exploring in a half hour radius from the house is highly recommended and we would not advocate longer distances on a stay of fewer than 4 or 5 nights. 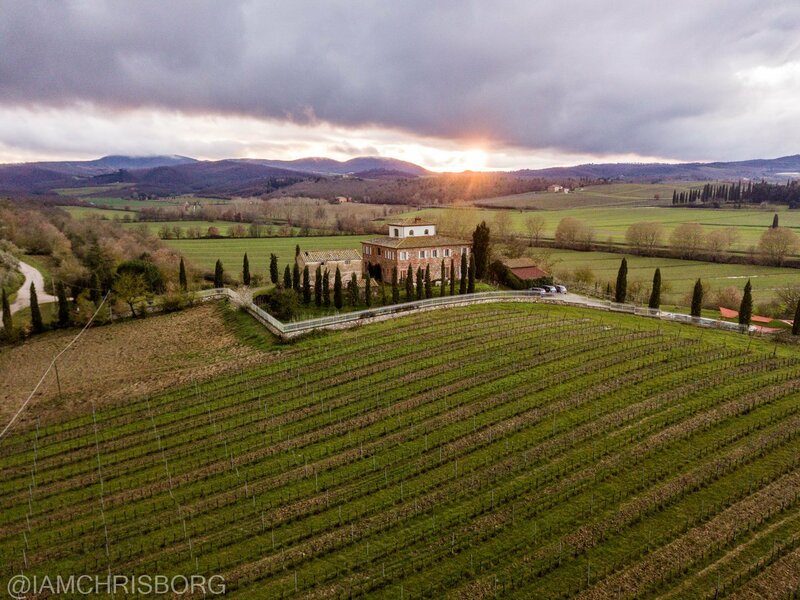 If you’re wondering where to base yourself, and seeking a strategic location in Tuscany to relax at and tour from, this is a great spot.